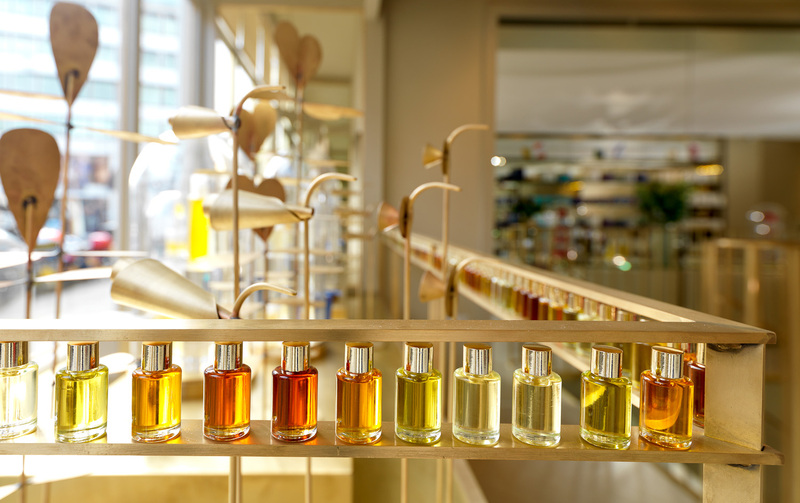 Enhance and enrich your body, mind and soul! 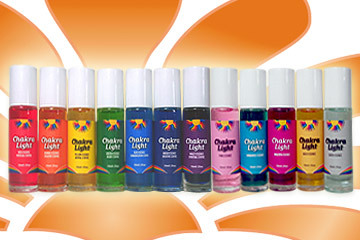 Essential oils balance your chakras by providing your body, mind & spirit with relaxing or stimulating, healing and stress reducing properties. 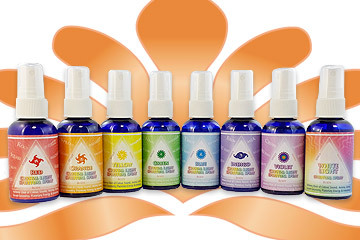 These powerful Essences contain living energies of specialty herbs & essential oils, energized with the healing power of crystalline structures. Use Candle Therapy to create the right energy atmosphere, including for chakra balancing, meditation purposes or an evening of amour. Relax your mind and soothe your soul by simply placing a chakra pillow over eyes or chakra points. Removable washable cover! 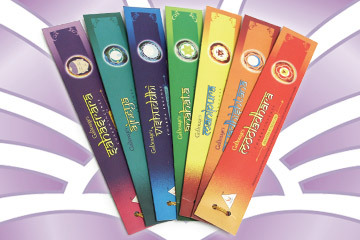 From India, these traditional hand-rolled incense sticks are made with the purest of oils to stimulate different moods when burned. 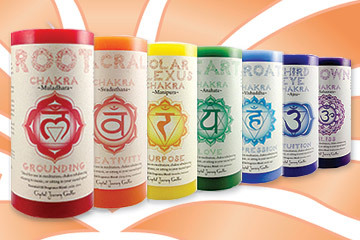 These divine synergistic chakra blends aid in charging areas of weakness or helping in the release of energetic obstructions. 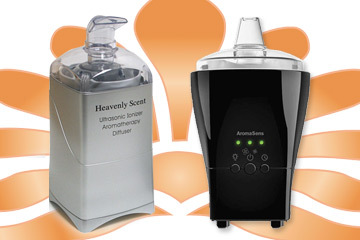 Choose one of our diffusers as a method to disperse the healing properties of essential oils into your breathing atmosphere. Great mood enhancer! 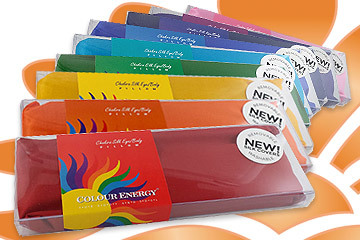 Our energy blends only combine oils of the same colour frequency, making them extremely chakra powerful! 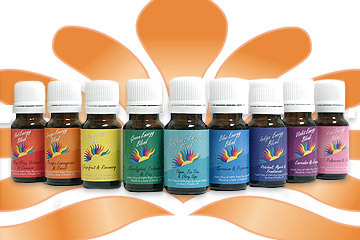 Complete Essential Oil Kits created for regular and a variety of uses. 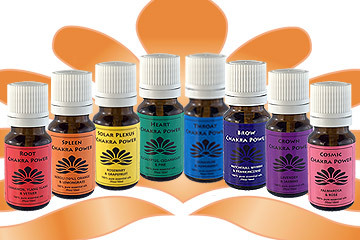 Try a different oil daily to empower your complete chakra system weekly. 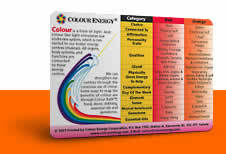 Our journey through the chakra system continues to the Spleen chakra, which is also referred to as the Sacral chakra. Its Sanskrit name, Svadhisthana means "sweetness." The Spleen chakra is depicted as a six-petaled lotus flower and it resonates to the color orange. The Spleen chakra governs our emotional needs and nourishes our soul. It is the energy center that stimulates our creativity and shows us our limitless potential. The orange Spleen chakra is our energy of the present moment and it connects us to living, with confidence, in the "now." Without power in our Spleen we lack happiness and enthusiasm; however, with a strong Spleen chakra life is positive and fun! The Spleen chakra governs our lower intestines, kidney, spleen, gall bladder, ovaries, uterus and testes. If we have problems in these areas or with asthma or allergies, it usually means there is a deficiency in the Spleen chakra. Also if one lacks creative influences or feels emotionally repressed or imbalanced, then orange energy is called for. If you have any of these symptoms, it is time you boost your orange energy to give power to your Spleen chakra!